Have you ever been in a situation of data loss due to any reason, be it accidental deletion or corruption? You put a lot of hard work in gathering/collecting the data, but all go into vain. Undoubtedly, one of the most frustrating situations for an individual! If you were the victim of data loss, what would you do? Once computer data are lost, you have nothing to do except wondering the reason that caused this. The primary reason of data loss is accidental deletion. In these days, computers continue becoming the principle way in which many individuals and organizations doing their day-to-day work. Just imagine you lose all your important files, your crucial business documents, your family photos, and all other forms of invaluable data. How hard the time would it be to face off? You can’t even imagine this. Always password protect your computer and use Window + L key combination to lock the system whenever you leave it unattended, thereby ensuring no unauthorized person can tamper your data. Even disallow anyone, either over the remote or onsite, to access your system. Malicious user might use 010 Editor to delete hard drive data permanently. Ensure in an Excel/Word document the ‘Save Auto Recover information every’ check box from File > Options > Save is checked and its spin box is set to 1 minute. This will automatically save the word or excel data every one minute, thereby minimizing data loss in case of unexpected computer shutdown. Never use Shift + Delete key combination to erase files or folders. If you really want to remove any, then just select the same and drag it to the recycle bin or use Delete (from context menu or keyboard key). The deleted items, if needed, can be restored from your PC’s recycle bin. Always use uninterrupted power supply device for desktop PC to avoid data loss due to unexpected power cuts. In case of laptops, make sure you plug on the charger whenever it falls below 20% to stop shutting down because of nil battery ensuing data loss. Never download software or executable files from unknown or unauthorized website. These files are packaged with virus, adware, Trojan, ransomware, key logger, and other malware that can delete, corrupt, steal, or encrypt your data, thereby contributing in data loss and financial loss. Ensure real-time protection for Windows Defender, the in-built antivirus software in Windows 10, is toggled on to procure latest virus definition update. Scan your computer regularly to quarantine/remove malicious software. This, thereby, avoids corruption or data loss issue. Periodically backup data to external storage device without fail, this will act as a protector in most data loss situation. Lost files & folders can be restored from the last backup, thereby avoiding complete loss of data. 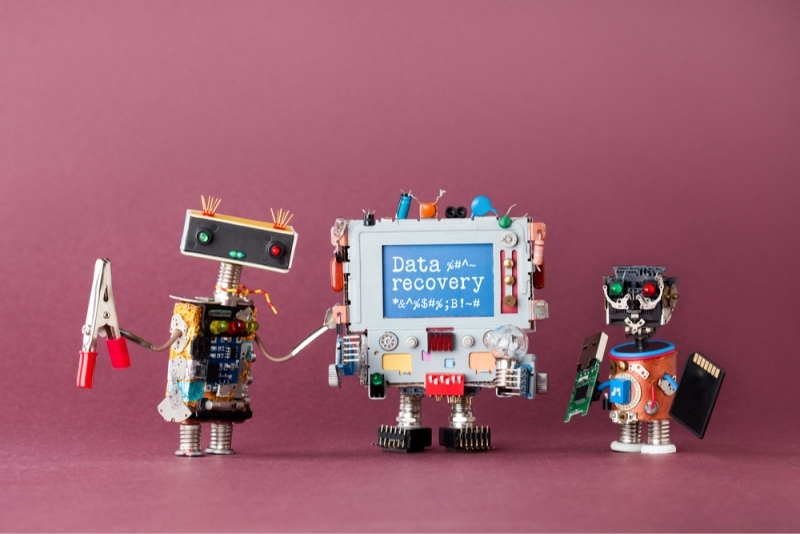 Data backup is the sure shot way to recover your data. But what if, data is lost after the last backup is taken, or the backup drive itself is inaccessible or corrupted. In such a difficult time data recovery software can be the great data redeemer. Recovers in almost all cases of data loss situation and even when data is not backed up to external backup drive. Recovers data when either the internal storage drive or backup drive is not overwritten. Restores data from any kind of storage device – internal/external hard disk drive (HDD), solid state drive (SSD), USB flash drive, diverse kind of memory cards, and optical drive. Achieves maximum possible recovery in worst case data loss scenario. Quick scans lost data using file system, and deep scans for physical/raw recovery when file system is damaged, inaccessible, or unavailable. Quite affordable to recover data from logical failure of storage drive unlike physical failure, where involvement of data recovery service provider is essential. Quickly searches lost data and prompts to choose a different drive location for saving recovered data in order to protect against overwriting. One such data recovery software for your rescue is Stellar Phoenix Windows Data Recovery – Professional. This blog points out the top tips to avoid data loss, and the benefits of using data recovery software. Individuals as well as organizations must understand and implement these precautionary tips to safeguard against data loss owing to any reason. The best preemptive tip to avoid data loss is to backup critical data, as well create backup of backup and store it at an offsite location. Take the advantage of data recovery software to recover lost data if all precautionary measures fails.